Let’s begin with the basics. GRE score reports refer to both the official score report you receive after taking the GRE and the reports you send to schools (and fellowship sponsors, if you have any). For the computer GRE, you’ll see your unofficial Verbal and Quant scores as soon as you complete the test. Your official GRE score report (with your Analytical Writing score) appears 10–15 days later on your ETS Account. For the paper GRE (which is only offered in countries where the computer version is unavailable), your official GRE score report appears on your ETS Account five weeks after taking the test. (Paper-delivered GREs do not offer unofficial scores.) For more detailed info on when to expect GRE scores, check out our article. But what about your schools? What do they see on the GRE score reports you send them? For the most part, what your schools see is roughly identical to what you see, including your basic personal info, scores, percentiles and intended field of study. What your schools won’t see, however, is who else you’ve sent your scores to and any GRE scores you chose not to show them. Not only can you choose which scores you want to send to schools but you also have some options about how you send them. There are both free score reports and additional score reports. I describe each of them below and explain how to determine which type of report you should send. Everyone who registers for and takes the GRE can send up to four free GRE score reports. Basically, the GRE fee ($205 for all countries except China) buys you both the test and up to four score reports. But there are stipulations. 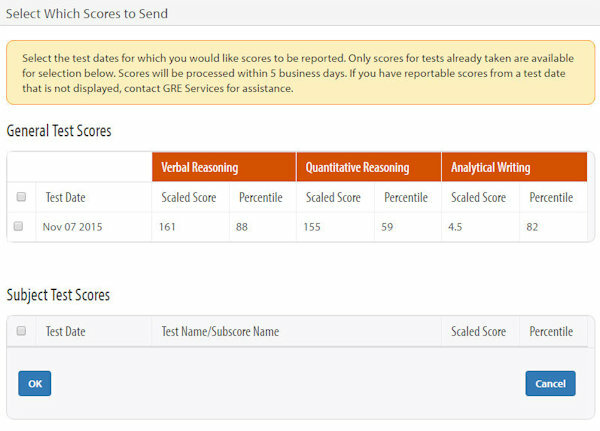 If you’re taking the computer GRE, you can only send your free score reports on test day, directly after you’ve taken the GRE and received your unofficial Verbal and Quant scores. Once your official GRE scores have been processed (10–15 days later), the free score reports are automatically sent to whatever score recipients you designated on test day. In contrast, if you’re taking the paper GRE, you can only choose your free score recipients during registration (i.e., before you’ve taken the GRE and received your scores). Once your official GRE scores have been processed (about five weeks later), the free score reports are automatically sent to whatever score recipients you designated during registration. If you didn’t send any free score reports on test day, don’t freak out! You can send additional GRE score reports anytime (within five years) after taking the GRE — for a fee. This option is especially useful if you’re applying to more than four schools or if you took the GRE before deciding where to apply for grad school. How much does it cost to send GRE scores after your test date? Unlike free score reports, additional score reports cost $27 per score recipient and can be ordered online, by mail, or by fax. Moreover, additional score reports take approximately 5–10 business days to process and cannot be canceled, changed, or refunded. 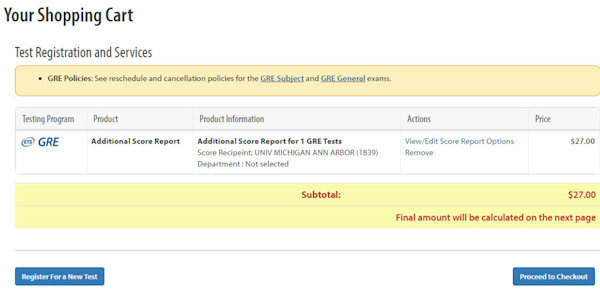 As previously mentioned, you may order additional score reports as long as the GRE scores you want to send are still valid. Scores for GRE tests taken prior to July 1, 2016, are valid for five years following the year you took the test, whereas scores for GRE tests taken on or after July 1, 2016, are valid for five years following the exact date you took the test. After either of these time frames has passed, your GRE scores are no longer valid and cannot be sent to any schools. So far, we’ve covered the types of score reports you can send. But how do you actually send GRE scores? 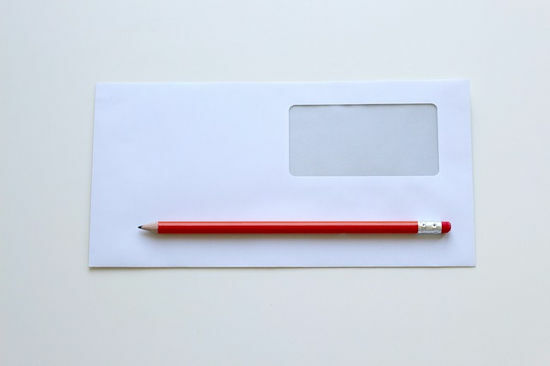 Follow along with our step-by-step guide to the different ways you can send scores. Sending your scores on test day is one of the easiest (and cheapest!) methods available. Once you finish the GRE, you’ll be prompted to either cancel or report your scores. Always report your GRE scores, even if you think you bombed the test. All “reporting scores” means is that ETS will create a record of the scores for you; you don’t have to actually send your GRE scores if you don’t want to! 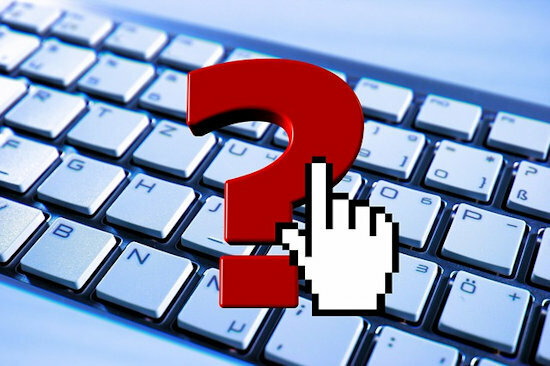 If your school’s name isn’t listed on the computer, ask your testing center’s administrator for a form on which you can fill out your school’s info. This form must be filled out before you leave the testing center and will not be accepted at a later date. Next, choose the GRE scores you’d like to send. If this isn’t your first time taking the GRE, you can send either your most recent scores (from this GRE) or all of your scores (from all GREs you’ve taken in the past five years). Be aware, though: You can only send GRE scores from the same testing date. In other words, no mixing and matching Verbal, Quant, and Analytical Writing scores from separate testing sessions. You can also choose not to send any GRE scores, but doing so will forfeit your four free score reports. So choose wisely. Once you’ve input all of your schools’ info and designated which GRE scores you’d like to send, voila! You’re free to skedaddle. Now, all you have to do is wait 10–15 days for your official score report to appear on your ETS Account. 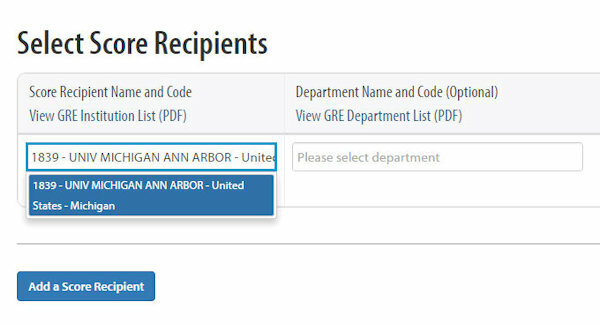 At that time, the schools you designated on test day will be automatically sent your GRE scores free of charge. Go to the area called “Scores” and click on “Send Additional Score Reports.” You’ll be taken to a page with all of your personal info on it. Update your info (e.g., address, phone number, etc.) as needed by clicking the “Edit” button, and then click “Next” at the bottom of the page to continue. Use the leftmost blank to search for a school by name or code. Many institutions use an abbreviated form of their names (e.g., “Univ” instead of “University”), so don’t worry if the autofill feature isn’t popping up as you type. In that case, simply refer to the GRE score recipient list and type in your school’s code instead. 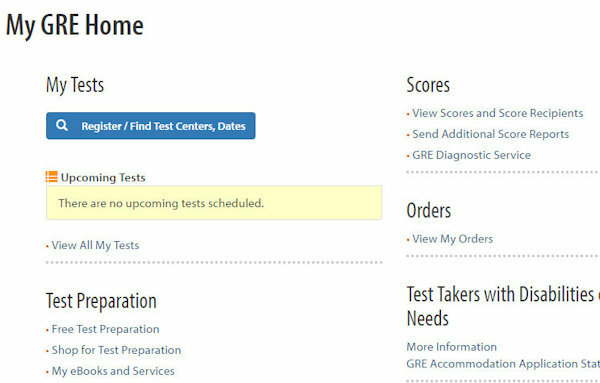 Check individual GRE scores you’d like to send, or check “Test Date” to send all of your scores. Once finished, click “OK” to close the window and return to the “Select Score Recipients” screen. If you’d like to send scores to more than one school, click the “Add a Score Recipient” button and repeat the process. Almost done! Now, all you have to do is click “Pay Now” and input your payment info (credit/debit card and PayPal are both acceptable). If you have any promotional codes or vouchers, feel free to input those, as well. As a reminder, $27 is a flat fee per score recipient, so you can send as many scores as you like to a single school for the same price. And that’s all there is to it! It’ll take ETS about five business days to process your request, so always give your schools ample time to receive and process your GRE scores. 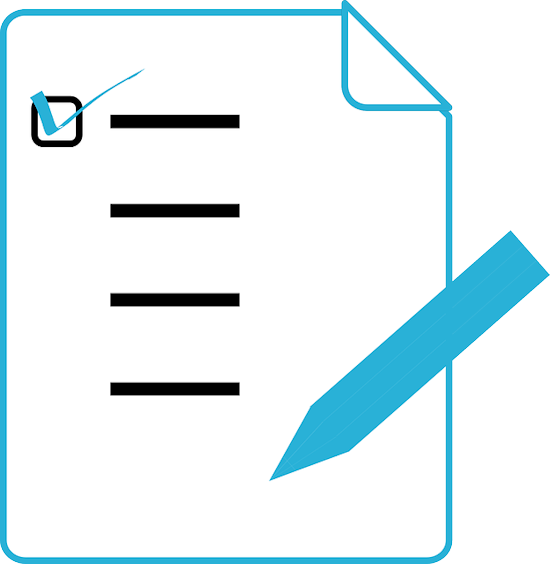 To request additional score reports by mail or fax, follow the directions on this form. Mail and fax orders cost the same as online orders ($27 per score recipient) but typically take longer to process — about 10 business days. In general, it’s easier and faster to order online. Only those taking the paper GRE can designate their free score recipients during registration. While registering for the GRE, choose up to four recipients for your free score reports. Like the computer GRE, you’ll record your schools’ info and choose whether you’d like to send your most recent GRE scores (the ones you’ll get once you take the test) or all of your GRE scores (all GRE scores from the past five years). You’ll be choosing to send scores before you know what your scores actually are, so think carefully about what you’d like to do. If your recipient is not listed, contact ETS before taking the GRE. As with the computer GRE, you are not required to input any score recipients, but leaving this section blank will forfeit your four free score reports. Should You Send Your GRE Scores? 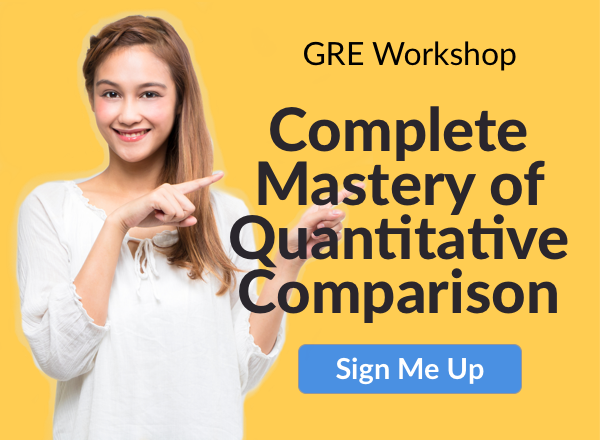 You completed the GRE and took a glance at your unofficial Verbal and Quant scores. Now, the computer is asking if you’re ready to fill out info for your four free score reports. Should you send your GRE scores now or later? Should you even send them at all? You’ll save money. If you have four schools awaiting GRE scores, you’ll either pay $0 on test day or $108 after test day. That’s more than half the cost of the GRE itself! It’s a no-brainer: send your scores ASAP to save money. You’ll reduce your risk of missing deadlines. If you’re taking the GRE within a month of your application deadlines (see the next section for more info), definitely send your scores on test day. Missing a deadline could very well result in your disqualification, so just send your scores first and worry about the quality of them later. You can choose which scores to send. No more dreading your ridiculously low Quant score or that below-average Verbal score. Thanks to ScoreSelect, you can send only the scores you’re most proud of. And you can send higher scores later if you initially sent low ones. Perhaps you’re beginning to question why you sent your GRE scores at all — perhaps they’re not as high as they should be. But here’s the thing: lots of schools don’t care if you send multiple GRE scores, and many will focus on only the higher scores anyway. So it really doesn’t matter what scores you initially send on test day; you can always retake the test and send your higher ones later! GRE scores are only one part of your application. A standardized test isn’t usually the be-all and end-all of a grad school application, so try not to stress about your scores. If you’ve got a cogent personal statement, a decent undergrad GPA, and relevant work experience, you’re probably in a much higher position than you think! When Should You Send Your GRE Scores? In short, always take the GRE at least a month prior to your application deadlines. (And about two or three months in advance if you’re considering retaking the GRE.) Doing so gives ETS just enough time, with a bit of leeway, to process your official scores and send all of your free score reports to the schools you designated. Remember, official scores take at least 10–15 days to process, and certain schools may take even longer to process applicants’ GRE scores. Those taking the paper GRE, on the other hand, should take the test even earlier — at least two months in advance of their application deadlines. As I mentioned at the beginning of this article, official GRE score reports for the paper test take significantly longer than 10–15 days to process — at least five weeks. 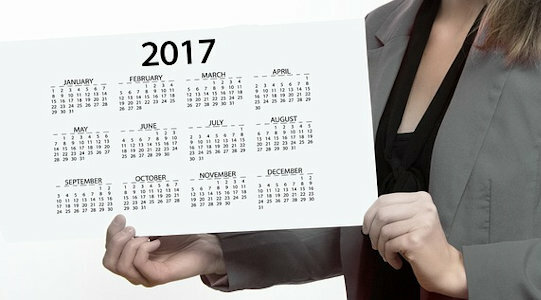 Check with ETS for specific testing dates for the paper GRE. For additional GRE score reports, place your order at least two weeks before deadlines. These requests, whether online or by mail/fax, typically take 5–10 business days to process (and that doesn’t include weekends). Basically, sooner is better. Remember, if your schools don’t receive your GRE scores on time, your application could get disqualified. (Many schools do accept late GRE scores, however, so always consult your programs directly.) The point is, don’t dawdle! You can order up to four score reports on test day at no extra charge. Your scores are sent to the recipients you designated 10–15 days after the test once your official GRE scores have appeared on your ETS Account. You can order additional score reports online through your ETS Account. Additional score reports cost $27 per score recipient. Only valid GRE scores from the past five years can be sent. You can also order additional score reports by mail or fax. Scores ordered online, by mail or by fax typically take 5–10 business days to process. Always send your GRE scores on test day unless you’ve truly failed the test. Utilizing your free score reports saves you both money and time, and you can choose whatever scores you’d like to send using ScoreSelect. You can also send additional scores later on if you retake the GRE and perform better. Take the GRE at least one month in advance of application deadlines to give ETS sufficient time to process and send your GRE scores. If you’re strongly considering retaking the GRE, set aside an additional month or two. (For the paper GRE, give yourself a minimum of two months.) If ordering additional score reports, submit your request at least two weeks prior to deadlines. Need help registering for the GRE or picking a date and time to take it? Our guides walk you through the registration process one step at a time and help you find the best test date for you. Hoping you’ll only have to send your GRE scores once? If so, we’ve got you covered! Take a look at our step-by-step guides on how to ace the Verbal and Quant sections, and read about what are considered good Verbal and Quant scores. Next Next post: Can You Get Into Graduate Schools Without GRE Scores?